Rag 'n' Bone Brown is an online video channel documenting woodworking, restoration, DIY and upcycling projects using mainly salvaged wood and reclaimed materials by Keith Brown, Maker Of Things. Videos range from build projects like furniture builds and restorations, workshop projects, home & garden & pet projects to vlogs, tool reviews and influencer interviews. Based in Norwich in the UK, the channel began in 2015 on YouTube. 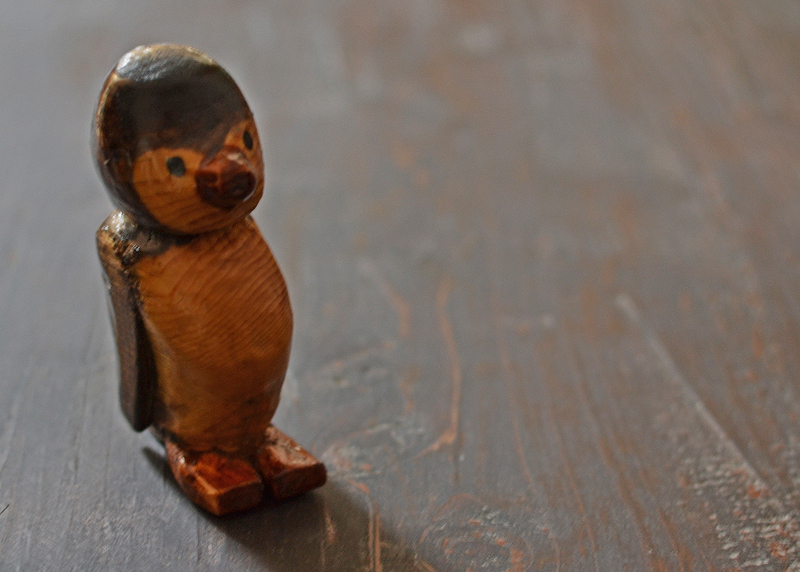 Penguin made from a scrap of pine. First ever attempt at carving. Not very good! Various stains used to colour and finished with a gloss varnish. Dining table. Found the table top next to some bins on a council estate, it had been painted (very badly) and the corner was broken and missing. Restored the broken corner using a scrap and sanded the whole thing down. Put some new legs on it which were from wood taken from a skip (with permission). Finished with an oak stain, rubbed on a satin varnish with a scrap of material and finished with Briwax. Sold to a friend though a post on Facebook. Coffee table made from spare wood salvaged from various alleyways and skips.